INDIA . . .Mathura . 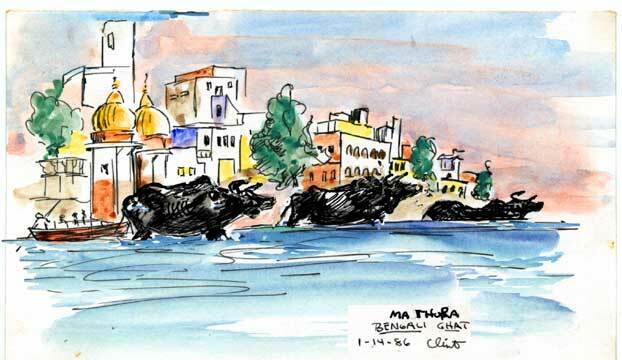 .I'm traveling south by bus, and get off at Mathura, a lovely spiritual center, where water buffalos frolic in the waters in front of the Ghats.